Vocational training and skills are playing an increasingly important role in the developed economies. However, both the vocational education structure and the underlying philosophy and culture of education and training vary from country to country. What is clear, though, is that employers play a crucial role in all cases; this paper explores the reasons why companies in different countries are willing to invest in initial vocational education and how they do so. The paper will focus on Great Britain and Germany as examples of a market-led model and a state-directed model, respectively. 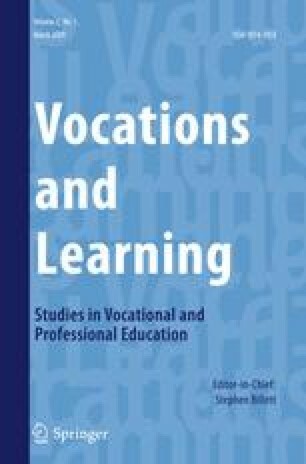 Interviews with employers in both countries show that, in Britain, initial vocational education is strongly task-related in most cases or else is seen as the employee’s private, individual concern. In Germany, by contrast, a much broader range of initial vocational education is available and is viewed as an integral part of company culture. Cuddy, N., & Leney, T. (2005). Vocational education and training in the United Kingdom Short description. Cedefop-Panorama Series 111 Luxembourg. Retrieved August 31, 2008, from http://www2.trainingvillage.gr/etv/publication/download/panorama/5159_en.pdf. Hippach-Schneider, U., Krause, M., & Woll, C. (2007). Vocational education and training in Germany: short description. Cedefop-Panorama Series 136 Luxembourg. Retrieved August 31, 2008, from http://www.trainingvillage.gr/etv/Upload/Information_resources/Bookshop/465/5173_en.pdf.